This and other photos from last night's tornadoes demonstrate two of the important tornado safety rules. 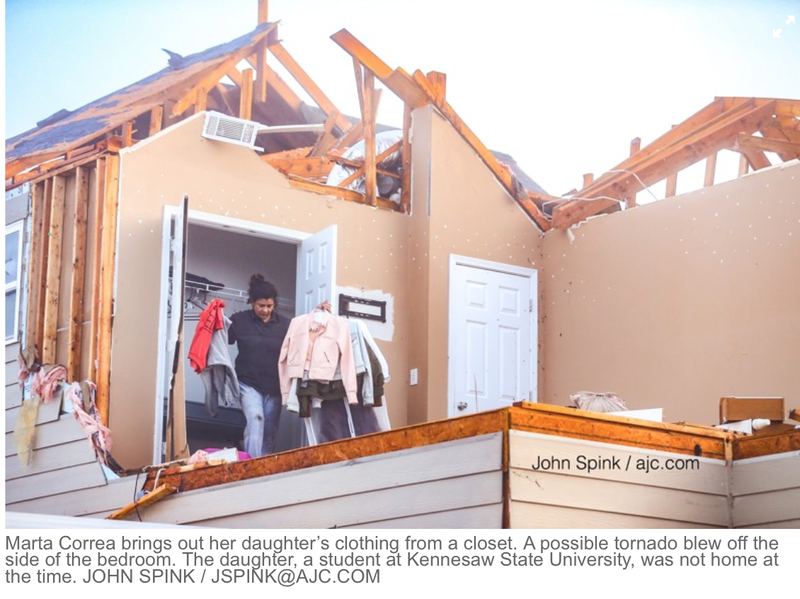 The tornado survivors are on the second floor of the home. The lowest floor is relatively undamaged. Always go to the lowest level during a tornado warning. A basement is best. If not, get on the lowest possible floor and put as many walls as possible between you and the tornado. The lady is taking clothes out of her undamaged closet. The extra set of walls can make all the difference if a tornado strikes.